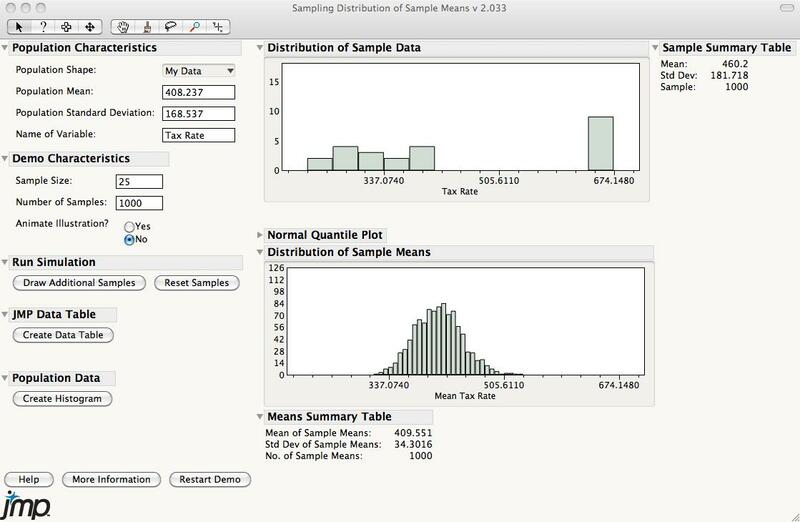 Teaching and learning the concepts of statistics has for many years been a challenge for both teacher and learner, especially for those engaged in introductory service-oriented statistics courses. 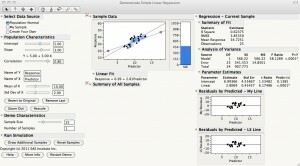 Much of this challenge has been rooted in the general approach many courses have taken, namely, through the mastery of statistical and mathematical techniques, which is at odds with the often math-phobic student required to take these courses. 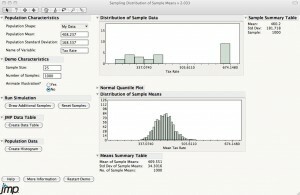 Teaching concepts of statistics (in contrast to analysis) has been helped in recent years through the use of animations and applets to convey the underlying dynamic and geometric nature of these concepts. However, research has also shown that students often lose the connection between the concept using one tool and analysis using another. 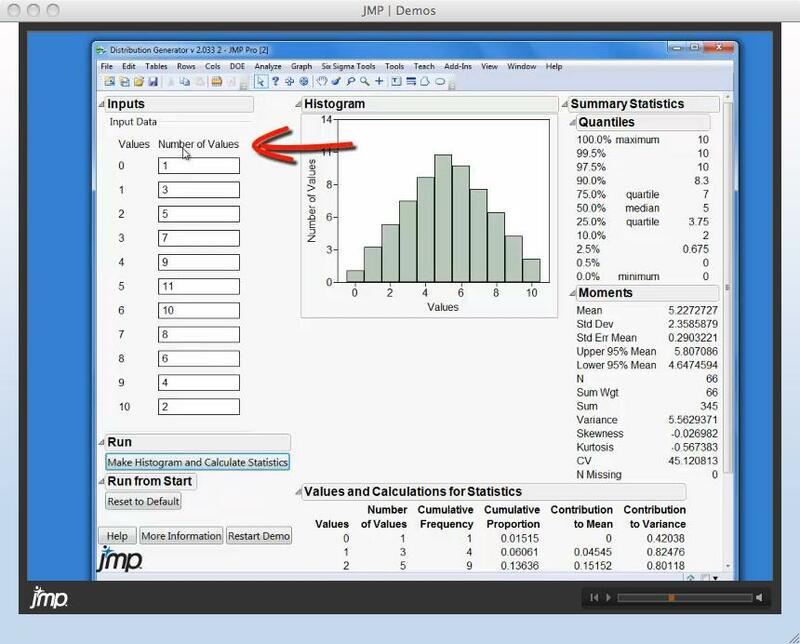 JMP offers a compelling solution to this problem through an updated and just-released set of concept animations developed in JSL (JMP Scripting Language) for teaching and learning introductory statistics. These nine scripts cover the most challenging concepts for students to learn and provide ample opportunity to manipulate and interact with parameters and see their effect. The pedagogical bonus is that one can use his or her own data to simulate concepts thereby providing a single platform for both concept discovery and analysis. Winner of the coveted 2010 Downie Award (at least, it is coveted here at JMP), which recognizes the most downloaded resource at jmp.com, these improved scripts contain many internal improvements and resources to get the most out of these in the classroom. The scripts are fully compatible with JMP 9, and expert scripter Wayne Levin of Predictum completely rewrote the Distribution Calculator script and streamlined internal code on other scripts to improve speed and robustness. New help videos accompany the scripts to illustrate their intended applications. 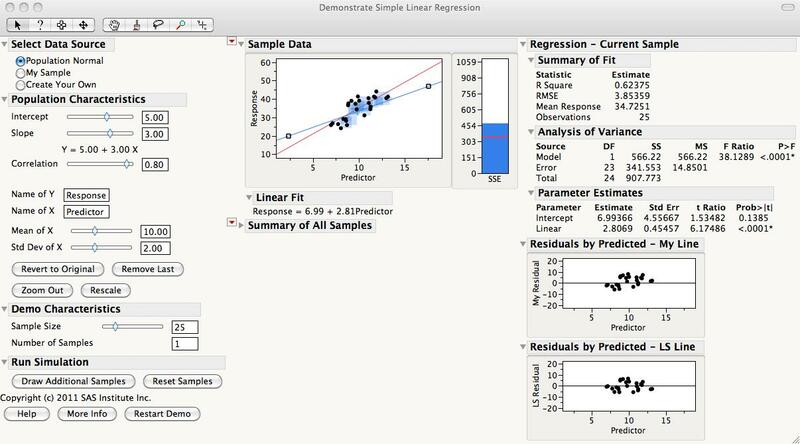 We also offer a new Regression script developed by Mark Bailey of SAS Education. All scripts were designed by Amy Froelich (Iowa State) and Bill Duckworth (Creighton) and developed by Predictum, Mark Bailey and the JMP Academic Team.